Did you know an ingredient commonly found in many flea and tick control products sold every day on store shelves can be fatal to your cat? This ingredient is any pyrethrin, permethrin or pyrethoid type product. Other similar active ingredient names are allethrin, etofenprox, resmethrin and sumethrin. Unfortunately for cats, owners commonly run to their nearest grocery store, pet store or pharmacy when they are in a panic to stop a sudden flea infestation. There are many topical products with cute pictures on them that give people the false impression that they are safe to apply. Some flea and tick topicals, shampoos, and collars are advertised as all-natural products but are not always safe for cats. What is pyrethrin & permethrin? Pyrethrins are technically derived from Chrysanthemum plants and do kill fleas, ticks, and other insects. Permethrin is the common synthetic version that lasts longer and is widely used as an insecticide. It belongs to the family of synthetic chemicals called pyrethroids and functions as a neurotoxin in insects. Although it is not known to rapidly harm most mammals or birds, it has proven dangerously toxic to fish and to cats if ingested. Small dogs are also more sensitive than larger dogs. Caution with permethrins in cats is advised – what’s the risk? Since dogs are less susceptible to permethrin toxicity, canine products typically contain 45-60% permethrin while feline products considered to be safe by the manufacturer contain less than 0.1% – a big difference in chemical strength. Rule number one is never apply a dog flea product to a cat. A pet parent who is not aware of the permethrin danger or who failed to read full label instructions might apply a canine flea product containing permethrin directly to their cat, never realizing the health risks. 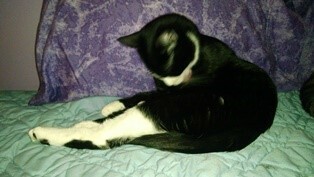 Besides being more sensitive cats constantly groom themselves. Therefore they have a much higher chance of ingesting product that is placed anywhere on their body, but especially too far down their neck or back. Cats who have been exposed to toxic levels of pyrethrin/permethrin may show signs within a few hours. Signs range and can progress from drooling, vomiting, diarrhea, restlessness, incoordination, disorientation, vocalization, skin twitches, muscle spasm, seizures, depression and death. Environmental pest control practices also commonly use these products and must also be used cautiously if cats are to be in that environment. 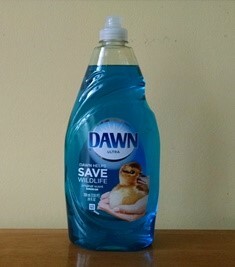 If you believe your cat was exposed, wash any visible product off immediately with Dawn dish soap and seek prompt treatment by your veterinarian or veterinary emergency clinic. Time is of the essence. If possible, bring the product with you to the animal hospital and explain how the cat was exposed, either directly or indirectly. Treatment may include activated charcoal and medicines like muscle relaxing methocarbamol. Seizure control may be necessary by administering barbiturates, propofol, and/or inhalant anesthesia. Seizure control and stabilization is a priority to prevent brain damage and other disorders. Intravenous fluids will be needed to correct hydration level and support the patient. Following stabilization, the cat may need to be bathed to remove any remaining permethrin from his/her fur. 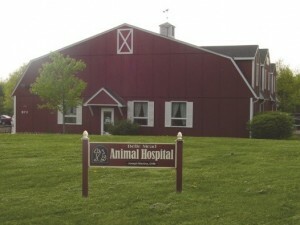 Most pets recover within 1-2 days if treated promptly. When considering a flea control product, we recommend you first contact your veterinarian who can suggest a safe flea or tick product for your cat or dog. For cats, the safest and best product is Revolution. 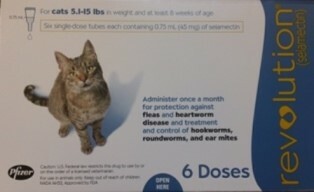 This is the only FDA approved product for cats. It is safe even if accidentally ingested. As pet owners obtain flea control products from sources other than veterinary practices, such as grocery stores, big box stores, human pharmacies, pet stores and the Internet, there may be less counseling as to proper use of these chemicals. Remember, all-natural does not mean safe. In addition, warnings on the pet product labels may not adequately convey the toxic potential of the product ingredients to the pet owner resulting in the application of inappropriate products to cats. As advocates for cats and their health and well-being, we want to keep your pets safe from harm. Read labels, use caution, and most importantly, talk to your veterinarian for advice.